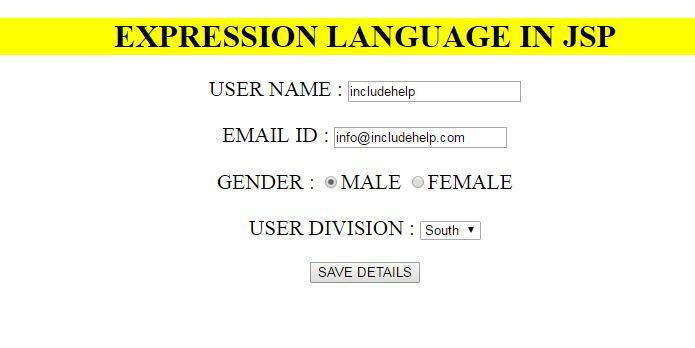 Learn: What is Expression Language in JSP? In this post we are explaining use of EL in JSO with suitable example? Expression Language (EL) makes ease for programmers to put out the values on to the screen instead writing a print statement. 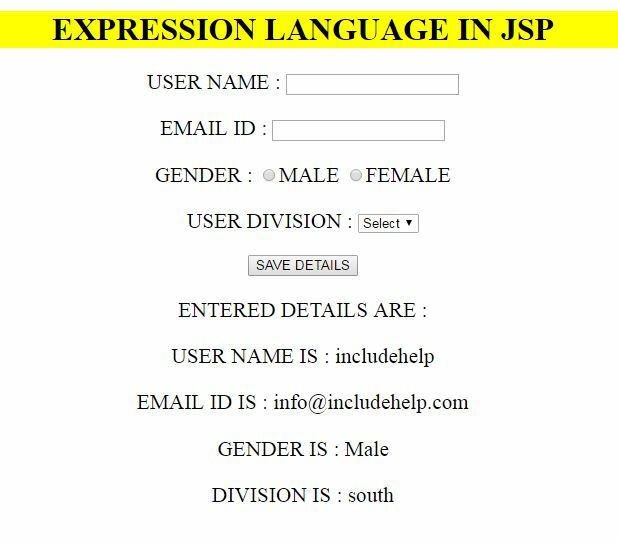 So, here we provided a simple and clear example where you can understand the EL use in JSP. Here we are taking the inputs from the user and triggering the action to output.jsp with a POST method. Here we are just printing out the values which are taken at the index page with a $(dollar) prefix.